Join us Monday evening April 19th, 2016 at 7:00 pm CST! Join us March 8th, 2016 at 7:00pm CST! Busters Vision Non-profit, Inc. is a Free Public Education for a World Without Abused & Abandoned Animals. We Support Animal Shelters & Petition Platforms. Buster’s Vision is a non-profit dedicated to provide the public with a positive, encouraging “ANIMAL EDUCATION”, promoting an awareness to protect the WELFARE OF ANIMALS, buyers, and respectable breeders and to develop higher standards of ethical business practice and conduct. Buster’s Vision is a purpose driven organization with a dream to wipe out kill shelters and help save animals worldwide. We need to come together to destroy this horrific evil. Every animal has the right to life and does not deserve to sit on some cold cement slab ready to be put down because they were abandon. We can be angry about kill shelters, puppy mills, animal abuse and abandonment, but it is people that create the problems in the animal kingdom. People must be educated first before getting a pet. People need to be responsible and spay or neuter their pets. We need to get off the couch and support our local shelters and rescues. These are the best solutions left to reducing an over-populated animal society. >Don’t Breed or Buy! While Shelter Pets Die! ADOPT, dont shop! SAVE A PET TODAY!! Please visit and share our websites and multi-media social network. 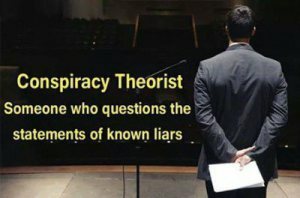 We have no funding to market our campaign. We depend upon word of mouth and networking. Please join our cause and share our mission. Join us March 1, 2016 at 7:00 pm CST! The Wild Horse Freedom Federation (WHFF) is an organization particularly focused on wild equine protection, research and education. They do so by monitoring wild equine habitat conservation, advocating awareness for the environment and conditions as they relate to wild horses and burros, non-invasive research programs, legal intervention and more. WHFF was created to unite and strengthen the stance and progress of several different, yet fully aligned, advocacy driven legal actions. The Wild Horse Freedom Federation advances the power of individuals to take informed and compassionate action to ensure the safety, welfare and lawful disposition of free roaming wild horses and burros. The Board of Directors of WHFF brings together years of collective equine advocacy expertise while the organization’s Advisory Board is comprised of a multitude of first rate equine welfare organizations and individuals. Join us February 16, 2016 at 7:00 pm CST! The Dog Connection TV Network and The Canine Community Reporters News are divisions Picture A Moment Pet Productions LLC. The Dog Connection Web TV Series and The Canine Community Reporters News are designed to offer you the most up to date information on connecting with your Dogs. The content is generally from a Dog’s perspective and expected to give you a view of what it is like to be a Dog. The Hangouts are broadcast LIVE and recorded for viewing at a later date. They will cover all the categories of The Dog Connection Web TV Series. Once we have content from our Hangouts, we then put them all into our Shows. And Walla! That’s what we’re talkin about! Each show is designed to focus on enlightening people about the value of their Dogs. The incredible gift they give us every day. And most importantly the services they provide to those who really need their help. How many of you really know the value and power of your Dog? It is our hope to bring an awareness and paradigm shift in your thinking to recognize your Dog as Family and hopefully become your “Best Friend. The Dog Connection TV connects Best Friends (Humans & Dogs). We’re here to help you build a special, lifelong relationship with your Dog. We want you to totally understand them and they understand you so you can be BEST FRIENDS FOREVER. 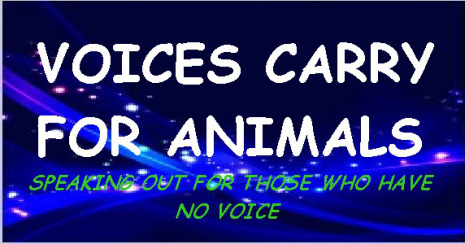 **Here is a link to all of Voices Carry for Animals archived shows http://www.blogtalkradio.com/search?q=voices+carry+for+animals Listen and Share 24/7 Live Shows You can listen by phone press 1 to Speak.